‘Avoid the white Stuff’ continues this month because I want you to feel guilty – you might be harming yourself whenever you eat sugar. According to an article in the British Medical Journal sugar should be classified as a drug as it is harmful and addictive. We naturally gravitate to sweet tastes as in nature this indicates nutritious food to eat. Nature has no refined sugars and here lies the problem for us. Refined sugars, so common in most processed foods including savoury items, contain no food value and can draw essential minerals from our teeth and bones as well as making us fat and lethargic. Biologically we should be eating sugars in their natural whole food state, for example a whole apple or carrot. 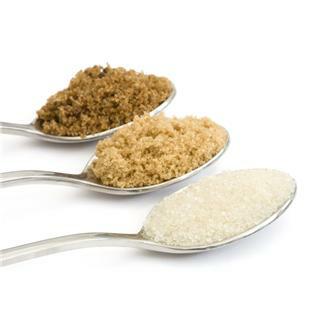 Refined sugars convert very rapidly into blood sugar which gives us a quick fix burst of energy, rapidly followed by a drop leaving us, at best, looking for more sugar. For long, slow release of energy and a healthier body eat whole foods as close to natural as possible. The more sugar you eat, the more you want. Try without for a few days and notice the difference in your body, that is, once you get over the withdrawal symptoms. Remember, sugar is like an addictive drug. This entry was posted in Practical Nutrition and tagged food, nutrition, sugar. Bookmark the permalink.